Did you know these bits of trivia related to Japanese sporting life? Sumo wrestlers eat only twice a day, once after finishing their morning practice and then again in the evening after taking a nap. 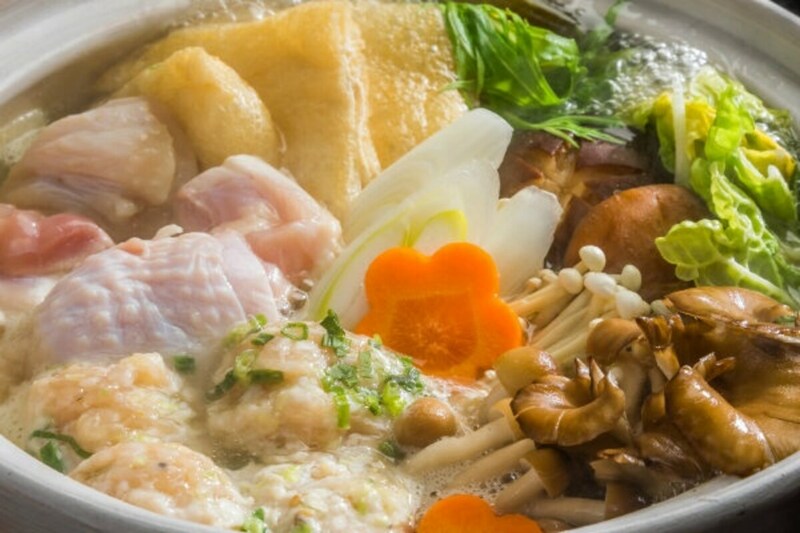 A typical meal will feature chanko-nabe—a rich stew containing abundant amounts of meat, fish and vegetables. Consuming high-calorie meals in massive portions and then taking afternoon naps helps wrestlers achieve their colossal girth. The mawashi (loincloths) that sumo wrestlers wear are never washed. Instead, they are usually just hung up to dry, for two reasons. One is for good luck, and the other is because washing weakens the fabric. If a mawashi were to come apart during a bout, it would result in disqualification. Sumo has had a powerful hold on Japan since ancient times, and there are many games and terms that incorporate it. One is the kamizumo (paper sumo) game, in which paper doll figures modeled after sumo wrestlers are placed on a paper sumo ring, which is then tapped with your fingers to maneuver the paper wrestlers to victory. Thumb wrestling is called yubi-zumo (finger sumo) in Japan, while arm wrestling is known as ude-zumo (arm sumo). Meanwhile, the Japanese expression for the idea of tilting at windmills is hitori-zumo (wrestling alone). The 1964 Tokyo Olympics—the first Olympic Games ever held in Asia—began at a rather late date for the summer event: October 10. With the Japanese people desperately wanting the opening ceremony for the Games to take place on a sunny day, statistical research was conducted on past weather patterns. October 10 was identified as the date with the highest probability of being a sunny day. As a result, the opening ceremony took place under blue skies without a single cloud in sight. Kendo, a sport born in Japan, regards proper decorum as being of grave importance. If a competitor were to strike a victory pose from the sheer joy of scoring a point, that point will be taken away for behaving disrespectfully and insensitively toward an opponent. It is also because not losing one’s concentration and intensity of spirit, even after completing a successful move, is considered crucial. Every year since 1988, senior athletes over the age of 60 in Japan participate in a sports and culture event called the “Nenrinpics,” so named by combining nenrin, or the age rings of a tree, with the word Olympics. This sports festival lasts for four days and involves a variety of events, including tennis, a marathon, kendo (Japanese fencing), ping-pong, the board games of go and shogi (Japanese chess), and haiku (Japanese poetry). Each prefecture in the country takes a turn hosting this event. The biggest distinction of Japanese professional baseball lies in the way its spectators behave. Fans of each team will unite as one, singing fight songs to the sound of trumpets and taiko drums, releasing massive numbers of balloons into the air, slapping tiny plastic bats together, and cheering their team on with unending enthusiasm. Summer in Japan is the time for the national high school baseball tournament known as “Koshien,” which pits approximately 4,000 high school baseball teams throughout the country against each other in qualifying tournaments to reach this hallowed competition. Although Koshien features student athletes, all games are broadcast live to the intense excitement of fans all over Japan. The high school athletes chosen to represent their hometowns set out with heavy expectations laid upon them, and compete as if their lives depended on the outcome. Teams that can’t live up to those expectations to take home the championship must push down their disappointment and claim dirt from the hallowed diamond to bring home instead. The players weeping with regret as they gather the soil implicitly declares, “We’ll be back!”—a memorable sight that will bring a tear to any spectator’s eye.